the launch site was Dr. A P J Abdul Kalam Island which ties in with the image posted. MICROSAT-R, in a 260 x 282 km, 89.9 deg orbit. 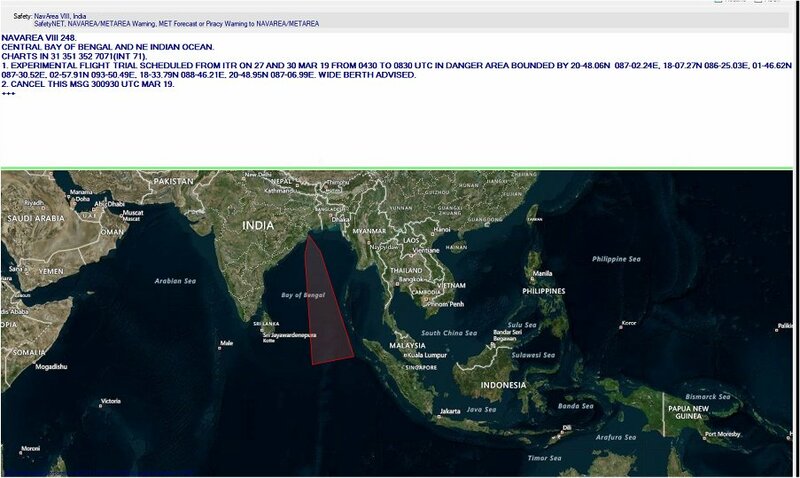 Would have been ascending over NOTAM area at ~0530 UTC, within the 0430-0830 UTC window. It should have been operational, facilitating tracking. MICROSAT-R satellite listed with a launch mass of 740 kg. It was just launched on 24 January 2019, as optical remote sensing satellite. 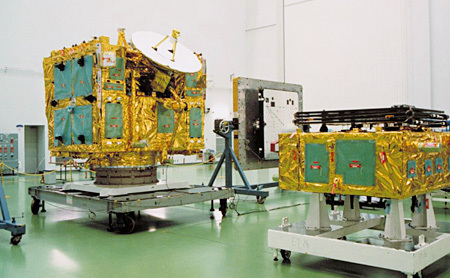 The Fengyun 1C weather satellite that China destroyed in 2007 was 750 kg. 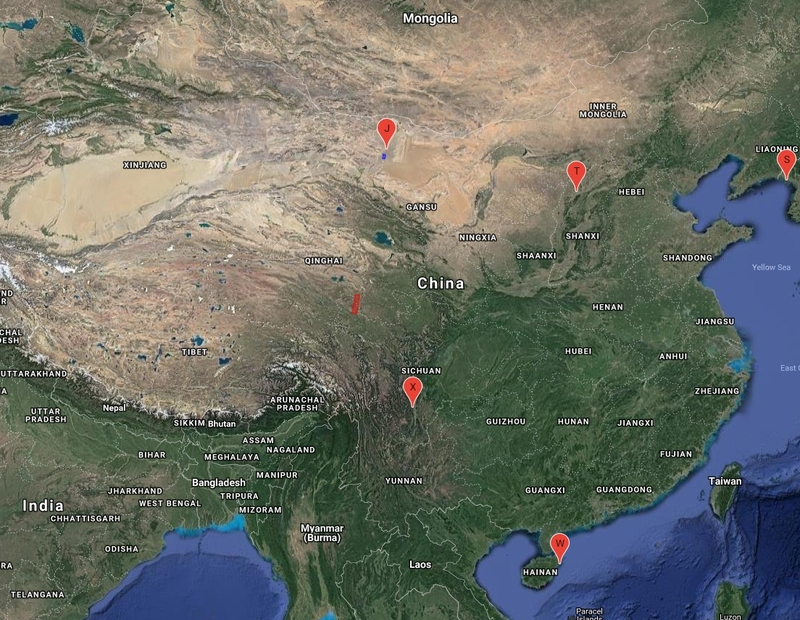 By adding the flight path of the Chinese OS-M1 maiden flight with the satellite Lingque-1B from Jiuquan SLC launched just four hours latter, on March 27, 2019 at 09:39 UTC. With the NAVAREA issued for the experimental flight trial scheduled from 27 March 2019, 4:30 to 8:30 UTC. It is obvious that the message was intended to President Xi. And this means that in case of a military conflict, China will no longer be able to easily replace lost satellites with rapid reaction launchers such as previously thought, by using CZ-11 SLV or the new new OS-M1 SLV. 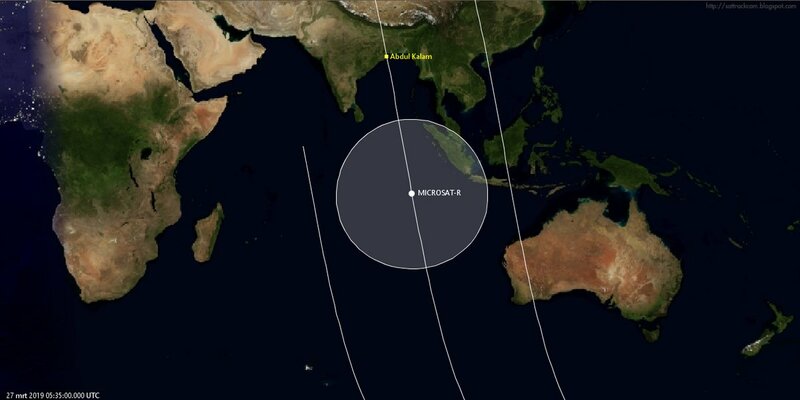 Sun Synchronous Orbit (SSO) satellite launches that must overflight the Bay of Bengal would be intercepted before any payload could be delivered into space. For now, peace is the only viable option for the two Asian Giants, as demonstrated over the last 12 millenia of coexistence. ▲ 6. Indian message intended to President Xi. 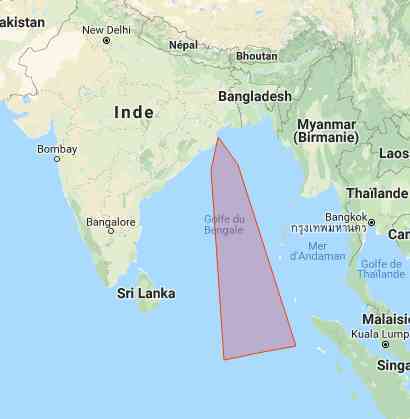 Despite all Indian claims that this ASAT weapon system was the fruit of an entire indigenous effort, it is strongly suspected that Israel has simply outsourced its ASAT testing in the Indian subcontinent, as for all previous other space systems, due to its own geographical limitations, as always. Therefore, this new ASAT capability of Israel can only target one opponent, namely Iran. In recent years, Russia has resumed the deployment of Cold War era-type anti-missile system, upgraded to the A-135 anti-ballistic missile system, and still uses hydrogen bomb anti-missile. The Soviet Union and Russia can't develop KKV anti-missile. It shows the technical difficulty of direct kinetic collision and killing. This shows once again that the conventional explosion-killing satellite is not feasible. This is because, assuming that the speed of the anti-missile missile is 8 kilometers per second, the warhead to be struck is also 8 kilometers per second. In fact, the relative speed is added up to 16 kilometers per second, that is, the sum of the speeds of the two sides is 16 kilometers per second (equivalent to 48 times the speed of sound). This speed is far faster than the explosion of explosives, and even the world's most powerful non-nuclear explosive. 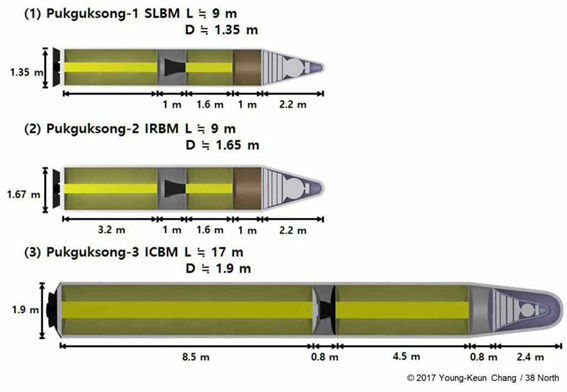 With new generation of explosives such as CL-20 with 10 times the explosive power of TNT, the blasting detonation speed is only 9600 m/s, far less than the speed of 16,000 meters per second when the anti-missile missile and the incoming warhead meet. It is impossible for the anti-missile missile to explode in front of the incoming nuclear warhead. The explosion speed of the explosion cannot catch up with the speed at which the warhead and the target are added. The most effective anti-ballistic missile system is the direct collision and destruction, which is the KKV direct collision system, but this system is extremely difficult, and even Russia can not do it. 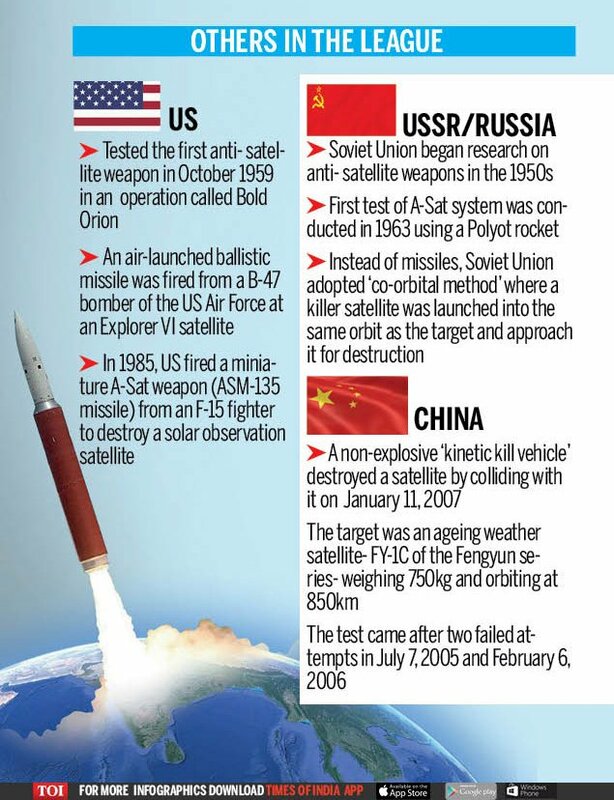 It’s hard to believe that India’s gap between India and Russia in space technology is well known. How is it possible? Kinetic interceptor collisions with satellites and missiles are very difficult technologies, thus many “faked” tests in the United States. Simply put, it adopts the "left-hand claps own right-hand" approach, setting beacons on both anti-missile missiles and target missiles. Just like children playing cat and mouse games, the mouse shouts "I am here, I am here !". This is impossible in real combat situation. Will any real intercontinental ballistic missiles be set up with a beacon to let you know its flight parameters? Top US scientists have urged the Congress to no longer allocate funds for ground-based missile defense systems, saying that the system could not achieve defense against real attacks. In a letter, they said that the fund should be cancelled before the system can prove its capabilities in simulating real-life tests. India does not have a complete industrial system. It is a country where bullets are imported, and its indigenous-development research ability is extremely poor. It took decades to develop a tank and a fighter. The military rejected the self-developed fighter. Like the Arjun tank, it was discovered that it could not be loaded by train because it was too wide. Almost all of India's aircraft, missiles, artillery, and tanks need to be imported. It is hard to believe that India can develop a world-class technology such as KKV that is so sophisticated. Currently, only the United States and China can use Kinetic Kill Vehicle to intercept ballistic missiles. Europe, Japan, and Russia can’t do it. In October 2018, the Indian Express reported that India recently launched a supersonic anti-missile interceptor and successfully shot down a simulated ballistic missile at a height of 15 kilometers above the Bay of Bengal. India particularly emphasizes that the maximum flight speed of the anti-missile is 4.5 Mach. This Shakti Mission Anti-satellite missile requires a speed of 8 km/s or Mach 24 according to common sense. From last year to this year, the progress needed is so huge, that the probability is unlikely. ▲ 7. Unlike most radars used by Indian forces, the Swordfish is capable of successfully detect, track and stop inbound ballistic missile threats. India had acquired and deployed two Green Pine radars around July 2002 and another one in August 2005. The Swordfish Long Range Tracking Radar of the Indian Defence Research and Development Organisation is an acknowledged derivative of the original Green Pine. The Indian government has sought to purchase the complete Arrow system since 1999, but in early 2002 the U.S. vetoed Israel’s request to sell the Arrow 2 missiles to India,exercising its right as a major funding contributor. U.S. officials argued that the sale would violate the Missile Technology Control Regime. Swordfish is an acknowledged derivative of the Israeli Green Pine long range radar, which is the critical component of that country’s Arrow missile defence system. However, it differs from the Israeli system as it employs Indian Transmit Receive modules, signal processing, computers and power supplies. It is also more powerful than the base Green Pine system and was developed to meet India’s specific BMD needs. Israel’s planned Arrow-3 high-altitude ballistic missile defense system could relatively easily be adapted to destroy Iranian spy satellites if and when Tehran manages to deploy high-resolution orbiting vehicles, military space experts here say. renewed calls here not only to protect Israeli assets in space, but also to deny space-based intelligence collection by enemy states. The agile, exoatmospheric, hit-to-kill Arrow-3 interceptor being developed by Israel Aerospace Industries (IAI) of Lod, Israel, and Chicago-based Boeing Co. is inherently multirole, and could be adapted, if needed, for A-Sat roles, said retired Maj. Gen. Yitzhik Ben-Israel, chairman of the Israel Space Agency. Indeed, Safir-2-e-Payam-Amir-Kabir SLV launch could succeed within a year from now (2019), thus making the Israeli threats ever more real! As of March 2019, Iran has few to no space assets in orbit. These would anyway be sitting ducks in face of this new Israeli threats. Iran should therefore skip any attempt at further deploying strategic space assets into orbit, and instead put emphasis on near-space platform, such as UAVs that don't follow a predictable flight path. In addition, Iran should also send a strong signal to Israel, that has deployed so many paper tigers into space, by outsourcing its own ASAT testing to North Korea the way Israel outsource its own to India, and thus preserving the economic benefits of the J.C.P.O.A. 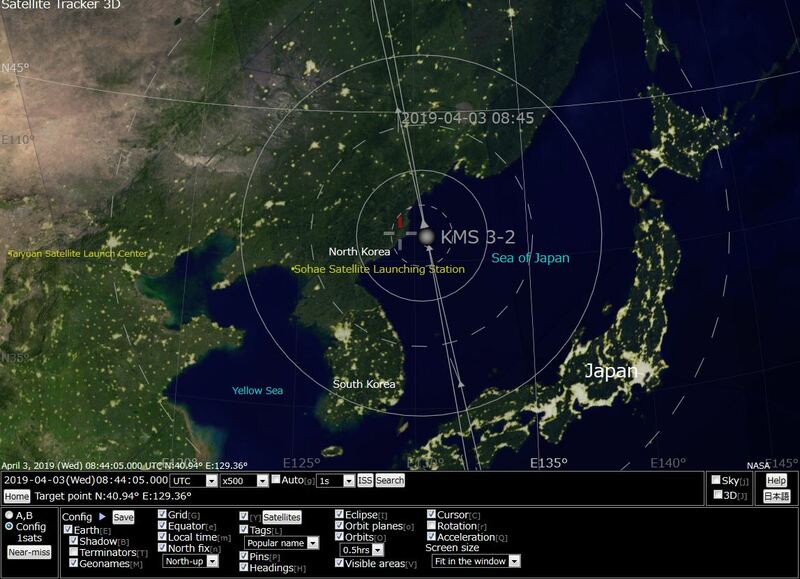 Thus, on the occasion of the upcoming Day Of The Sun during the week of 15 April 2019, the DPRK could instead of attempting a first suborbital manned spaceflight, demonstrate an interception of its own retired Kwangmyongsong-3#2 satellite that still orbits in a 500 km altitude Sun synchronous Orbit, with an Iranian designed Kinetic Kill Vehicle (KKV), I called Pongae-7 KKV (번개7호, 閃電7號: Lightning-7) for more clarity, launched atop a two stages liquid propellant Hwasong-15 Tel ICBM! ▲ 7. On May 3, 2012, the First Chairman of the National Defense Commission Kim Jong Un visited the KPAAF and the Air Defence Command Forces and examined the latest SAM launcher that was temporarily displayed at the headquarters front office. In the photo above, the launcher, which was only partially shown in the profile, was equipped with a Lightning-6 SAM. It is on par with the world's top-rated Russian S-400. Since the detection distance of the state-of-the-art phased array radar associated with the Russian S-400 launch system is 600 km, the detection distance of the state-of-the-art phased array radar associated with the Lightning-6 launch system is estimated to be 600 km. Following India's Shakti Mission ASAT test conducted on 27th March 2019, Japan has conducted on 5th April 2019 its own ASAT test under the guise of a scientific first to fool the world's low 96 IQs! ▲ 1. Three different approaches of three of the ASAT Elite Club's superpowers: the U.S. 1959 nuclear-tipped warhead ASAT, the U.S.S.R. 1963 co-orbital killer satellite, the Chinese 2017 KKV ASAT. The Japanese have demonstrated co-orbital capability, as earlier as 1997 by launching ETS-VII (Engineering Test Satellite No.7) on November 28, 1997, to conduct rendezvous docking and space robot technology experiments. ETS-VII is the world’s first satellite that used a robot arm on a satellite. The robot arm was 2m long and was teleoperated from a ground control station. Mission of ETS-VII lasted for two years and yielded much experience and many results. ▲ 2. KIKU-7(ETS-VII) is the satellite developed to acquire the basic technologies of rendezvous docking and space robotics which are essential to future space activities. KIKU-7 consists of two satellites named "Chaser" and "Target." Each satellite is separated in space after launching and rendezvous docking experiment has been conducted three times, in which the Chaser satellite automatically and remotely being piloted. Furthermore, we have very often conducted the space robot experiments which include manipulation of small parts, propellant replenishment by using the robot arms installed on the Chaser remotely piloted. Several scientific data have been acquired by these experimental results. ▲ 3. The KIKU-7 conducts the rendezvous-docking and space robotics experiments. In the rendezvous-docking experiment, the chaser satellite conducts rendezvous-docking with the target satellite by both automatic and remotely piloted controls, and in the space robotics experiments, unmanned space work is carried out by teleoperation. In addition, the space robotics experiments by MITI / ETL, CRL and NAL are carried out. The operation of the ETS-VII is conducted from the ground via data relay satellite (TDRS). These experiments on the KIKU-7 are the first attempt in the world and enable us to establish the basic technology for future space activities. The operation of the rendez-vous-docking and space robotics experiments are conducted from the NASDA ground stations via data relay satellite (TDRS). Japan has tested on 5 April 2019, a weapon system that has shot a 2.5 kg copper projectile by an explosive propellant charge, with the asteroid 162173 Ryugu as target. ▲ 4. This video shows two camera angles from a test of Hayabusa2's SCI weapon on Earth in 2011. The copper projectile fires from a concrete bunker, penetrates several gridded targets, and hits a mound of dirt simulating asteroid Ryugu 100 meters away. ▲ 5. A test of Hayabusa2's SCI weapon on Earth in 2011. The copper projectile fires from a concrete bunker, penetrates several gridded targets, and hits a mound of dirt simulating asteroid Ryugu 100 meters away. ▲ 6. Animated CGI GIF of the Hayabusa2's SCI weapon with asteroid 162173 Ryugu as target. out of range of solid-fuelled intercontinental missiles and makes it a more challenging task for liquid-fuelled launch vehicles to reach this strategic height. At this height it can be easily traced by Indian government in order to take necessary actions as per the situation. 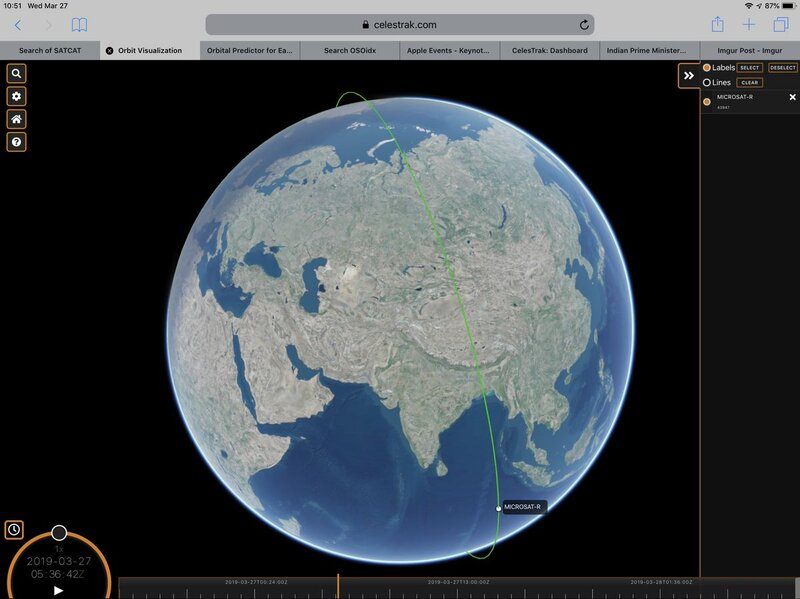 Two stages solid fuel ASAT missile can not reach the 36,000 km GEO orbit. 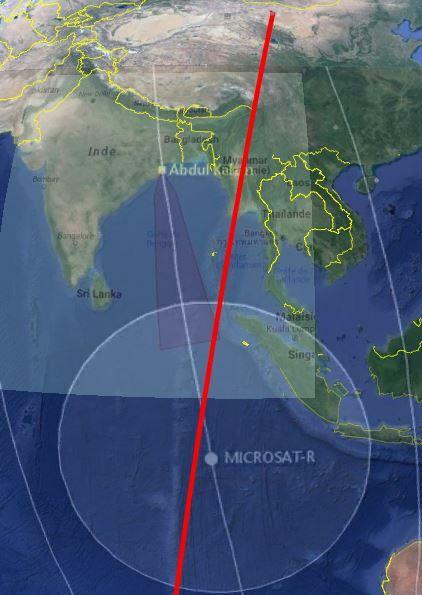 India's ASAT can only target LEO satellites. 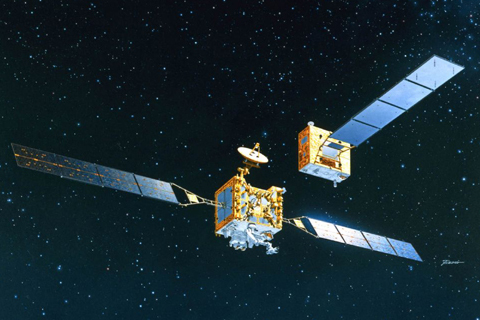 While Japan, co-orbital ASAT can destroy GEO satellites. Not in the same league. And how can one know if Japan current GEO satellites are not fitted with these small ASAT projectile weapons that are small and so easy to conceal? After demonstrating second cosmic velocity warhead reentry and ICBM capabilities, once again, under the patronage of the conniving U.S. in practicing double standard as regard to the application of international treaties and conventions (read Jungle Law), Japan has acquired a military capability that simply places this nation as the 4th space superpower.